A day out; a break from all the worrying about where to live. We wanted to go to Palazzo Maggiore, above Castel Vittorio, to leave cards promoting our website, but unfortunately they were closed for the winter. So rather than turn back we pressed on up towards Colle Langan, along a deserted road lined with bulldozed snow. At the top there’s a fork in the road, with one direction leading round the back of Monte Ceppo, but this road was closed 4km along by snowdrifts so we didn’t even try. The other route leads down to Triora, the self-styled village of witches, sitting splendidly on its ridge against the background of higher, snow-capped mountains. 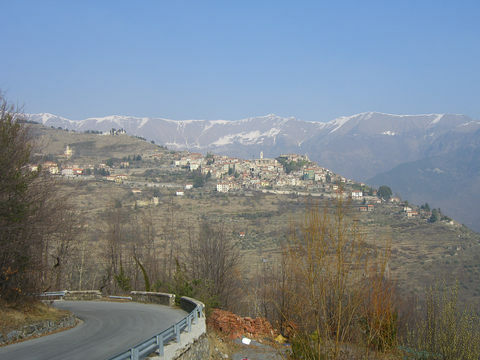 The road from Triora leads down to Sanremo, on the coast about 20km away, along a winding valley lined with pine trees. From there we headed up to Bajardo, stopping first in Ceriana for a bite of lunch. 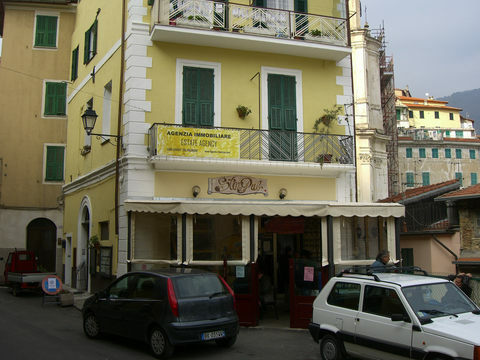 Here, the Star Pub deserves special notice, offering great value for money with an excellent panino at €2.75 or thereabouts. We arrived just after 2pm and it was deserted, but half an hour later people started to drift in and the atmosphere was transformed. 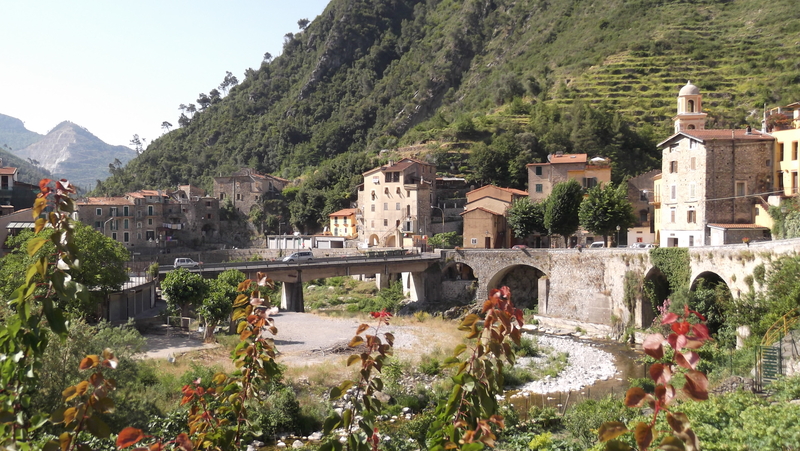 It seems to be the main meeting-place for the village; full of good-natured locals, children and dogs. The staff are friendly and the decor unpretentious. In a corner a small wood-burning stove threw out a welcoming warmth totally out of proportion to its size. I’ve seen these stoves here and there costing around €300 but this was the first time I’d seen one in action. It’s on my shopping list for after I move to my new house. For the whole of the trip the roads were largely empty, even though it was a Saturday during school holidays. I still can’t quite get used to this. Where does everyone go?